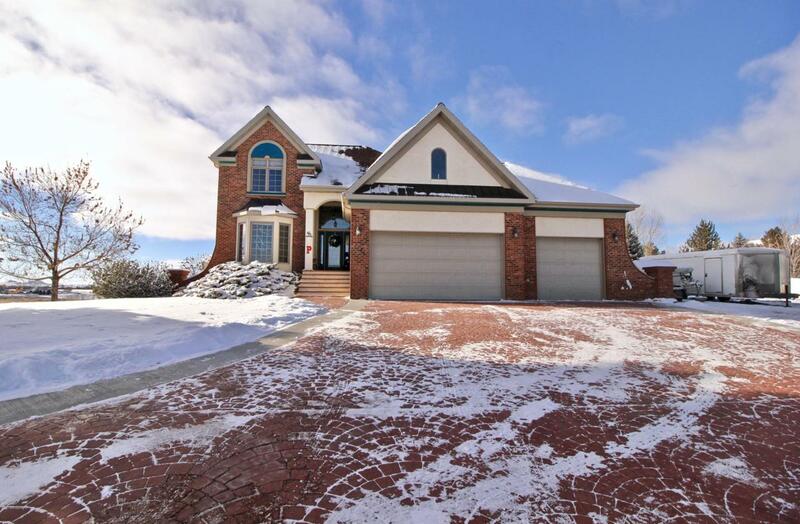 Move-in-Ready, Custom home with: Main-level living, Walkout lower level, Multiple Family Areas. Room for a hockey team or a huge family gathering in this ''INCLUDE-THE-COOK WHILE ENTERTAINING designed eat-in kitchen'' 2 pantries, tile back splash, SS appliances & Corian counters open to the Great Room. 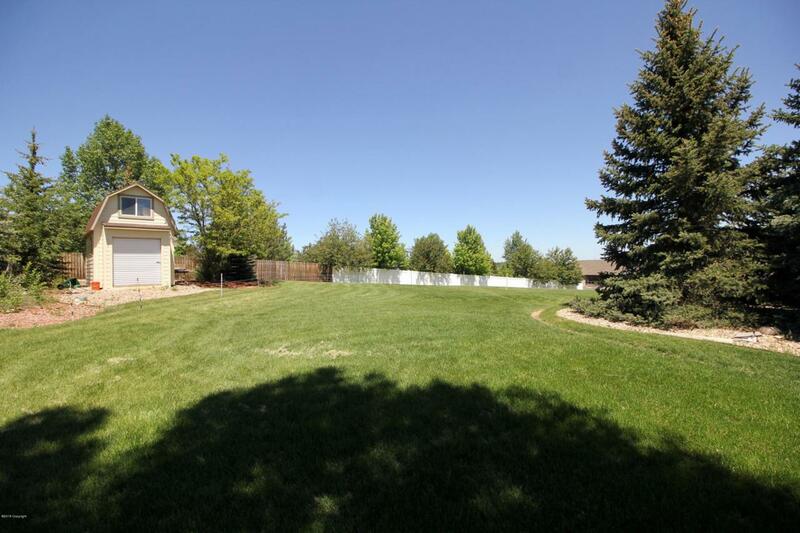 Hardwood + new carpet & lighting throughout, remodeled baths, Gas fireplace; walkin closets; 6 storage areas. Extensive mature landscaped .90 acre lot, Breathtaking Views, garden & play areas. 47' deck & shaded patio. Lots of parking. Call/Text Shirley Pettigrew 307-680-9758 or Jamie Pedersen 307-680-1239 for a private viewing. 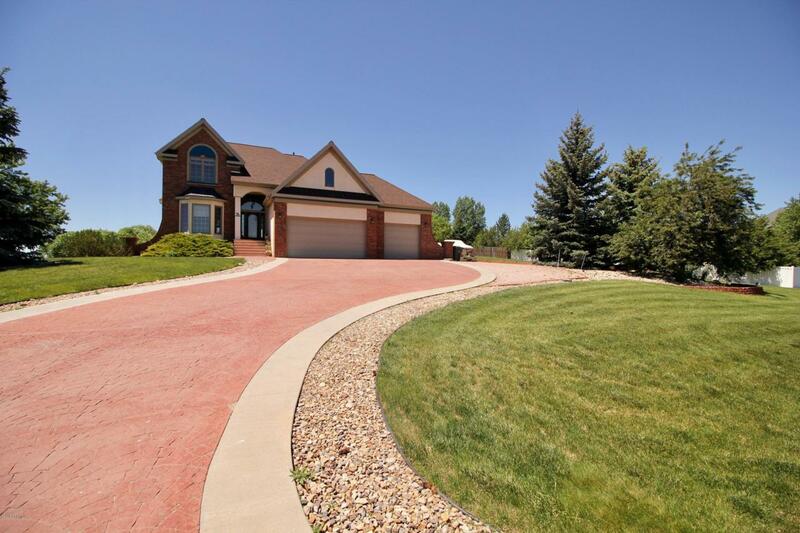 SEE the SUPPLEMENT for List of ALL EXTRAS & FEATURES this Home offers ! Seller is offering $3,000 BUYER INCENTIVE.EXTRAS and FEATURES -Open and flowing Floor Plan. -Grand Open Stairway. 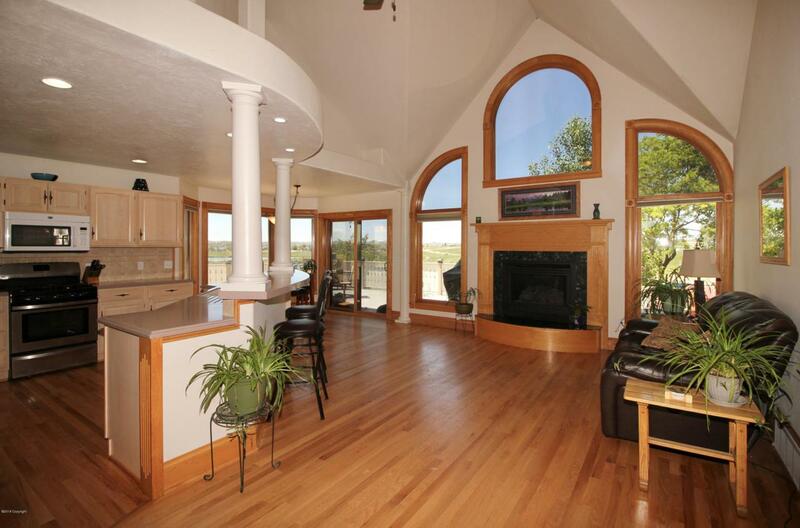 -Multiple Living Areas. -Formal and informal Dining. -"Include The Cook While Entertaining" Eat-in kitchen with -Corian Kitchen Counters -Kitchen can have gas or electric range -New Appliances -Two Pantries -Tiled Backsplash. -New Granite Bathroom Counters. -Cultured Marble Master Shower. -Five piece Master Bath. -New Lighting throughout. -Hardwood Floors. -New Carpet throughout. -Wired for speakers. -Heat & Glo Gas Fireplace. -Energy Efficient Window Film Coverings. -Six Storage areas ( some are deeper than you can see! ) -Walk out Lower Level to Covered Patio and water feature. -Wrap Around Deck with Natural Gas. -Security System and Key less Entry. -2 Furnaces and Air Conditioners. -Malarkey Shingles with transferable warranty. -Finished Heated Garage & Extra Parking for RV, Boats, etc. -Stamped Concrete Driveway. -Mature Landscaping, evergreen, fruit bearing trees and perennial flowers and flower beds. -Terraced Garden. -Play areas. -Sprinkler system CAN BE BLOWN OUT from WITHIN the garage. -Plumbed for outside spigots for manual watering. -2 Story Shed with garage type door. Listing courtesy of Shirley Pettigrew of Era Priority Real Estate.